Fifty kilometers northwest from Beijing City lies the Ming Tombs – the general name given to the mausoleums of 13 emperors of the Ming Dynasty (1368 – 1644). The mausoleums have been perfectly preserved, as has the necropolis of each of the many emperors. Because of its long history, palatial and integrated architecture, the site has a high cultural and historic value. The layout and arrangement of all thirteen mausoleums are very similar but vary in size as well as in the complexity of their structures. Among the thirteen tombs, only the Changling, Dingling and Zhaoling tombs are open to the public. Changling, the chief of the Ming Tombs, is the largest in scale and is completely preserved. The total internal area of the main building is 1956 square meters. 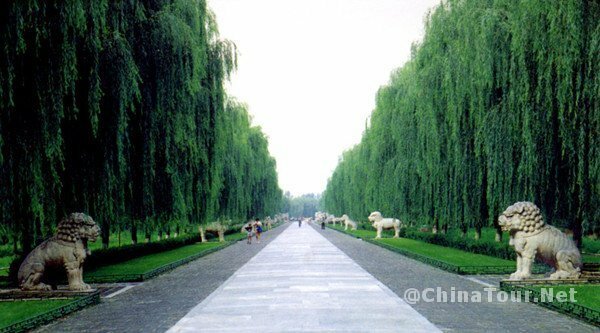 There are 32 huge posts, and the largest measures about 14 meters in height.It inhumes Emperor Zhudi, the fourth son of Emperor Zhu Yuanzhang. Unlike Changling, Dingling is under ground and about 27 meters deep. It is the mausoleum of Emperor Zhu Yijun, the thirteenth emperor who occupied the throne the longest during the Ming Dynasty, and his two empresses. The main features are the Stone Bridge, Soul Tower, Baocheng and the Underground Place, which was unearthed between 1956 and 1958. The entire palace is made of stone. The Soul Tower is symbolic of the whole of Dingling and it forms the entrance to the underground chambers. The yellow glazed tiles; eaves, archway, rafters and columns are all sculptured from stone, and colorfully painted. The entire construction is stable and beautiful!Served by three stone doors, it is divided into three halls consisting of five high palaces – the front, the middle, the rear, the left and the right palaces. 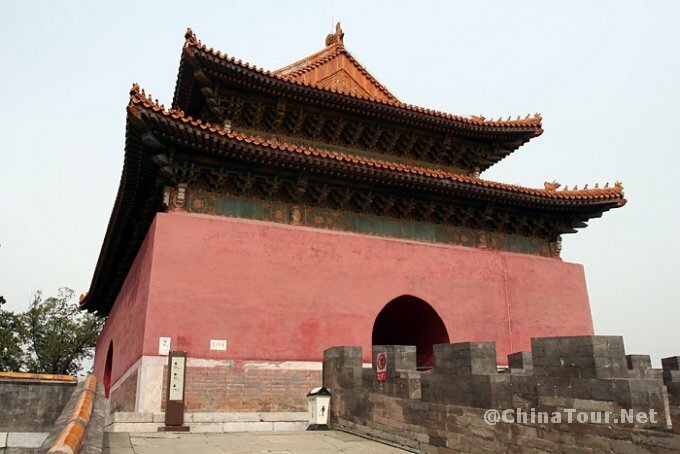 The Gate of the Tomb, the Gate of Eminent Favor and the Lingxing Gate all have the same structural form. Zhaoling Tomb is located in the east of Dayu Mountain and is the tomb of the twelfth Emperor Muzong and his three wives. 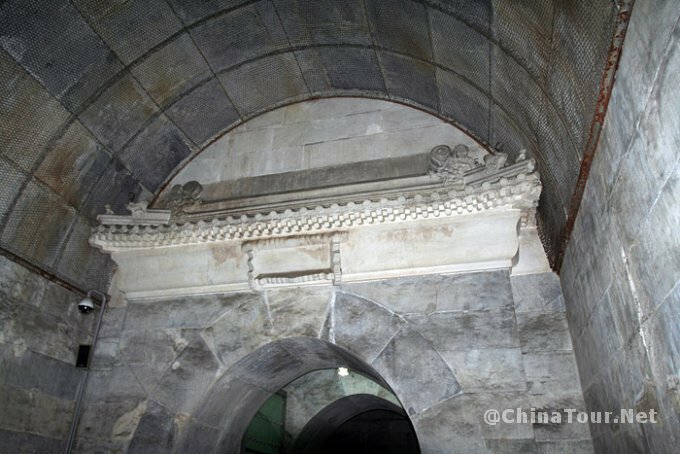 Zhaoling is the largest repaired tomb and also one of the officially open tombs.Zhaoling Tomb’s building area is 35 thousand square kilometers. The Ling’en Gate, Ling’en Palace and the East and west Palace are well preserved. Also Fang City, Bright Building and Bao Roof are in good condition. The twelfth Emperor Muzong and his three wives were buried here. Before your visit to these tombs, there is an attraction you cannot miss. It is called the Scared Way. The Scared Way, affiliated with the Ming Tombs, is a main road leading to all the tombs in this area. The road, seven kilometers (4.3 miles) long, has a stone memorial arch, Great Red Gate (Dahongmen), a stele pavilion, stone statues and the Dragon and Phoenix Gate (Longfengmen). 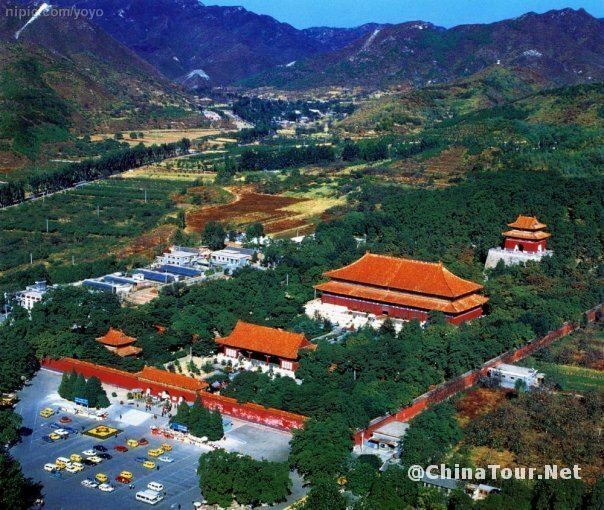 3-Day Beijing Private Tour (without hotel): Tian’anmen Square, the Forbidden City, the Temple of Heaven,Great Wall, Ming Tomb(Dingling Tomb),Hutong, Summer Palace. 4 Days (3 Nights) Beijing Coach Tour Package (without hotel): Forbidden City,Temple of Heaven,Summer Palace, Badaling Great Wall,Ming Tombs(Changling Tomb). Related attractions of the same kind: Eastern Qing Tombs; Western Qing Tombs.